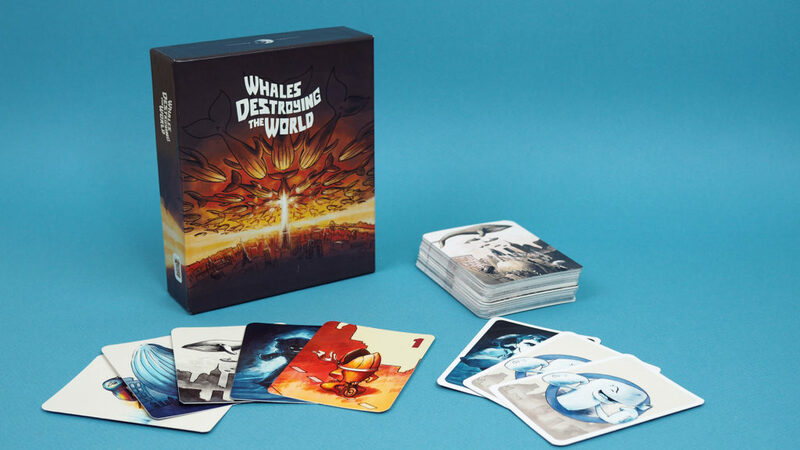 Whales Destroying the World is a bluffing set-collection game for 3 to 6 players with funny theme, quick (but strategic) gameplay and beautiful art. Players take role of whale generals preparing for war with humanity. They compete to build the strongest army possible. One of the players is a superspy, secretly working to stop the attack. In this bluffing game, you are about to wage war with humanity. To do that, you need to build your army first. Players represent whale generals putting together the best team possible. In the end, only one can lead the attack. Humans may have no chance against those huge flying and terrifying whales, but they will send their best to protect them – superheroes. In the end, there is always one traitor working hard to stop the attack. 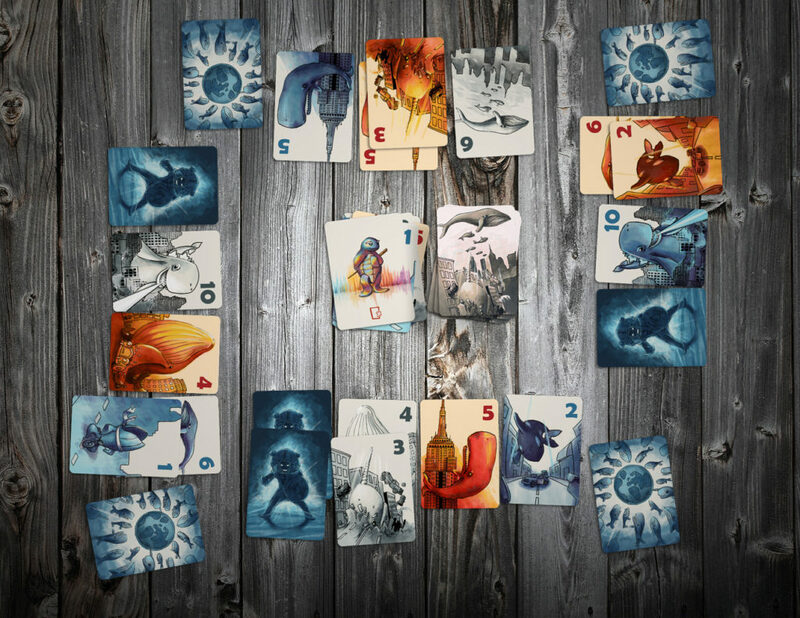 Players are taking cards from a common deck and offering them to other players. They can choose to keep them for their own army (collection) or send them back to the player. They do that with a minimum knowledge about the cards, just predicting whether others are bluffing or not. The “whale” player wins by completing a collection of cards with the highest value in front of him. The “superhero” player wins by infiltrating at least one player’s army with enough superheroes.